Living Room was specious and pretty kitchen ,available washing machine all stuff you could need are available. 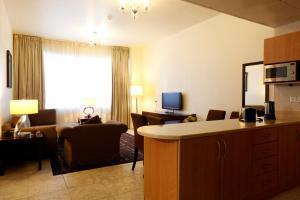 The location of the property is close to the mall and easy for taxis to find, so that is good. The people at reception are friendly and accommodating as well. Allowed early check in and late check out easily. Friendly reservations lady during afternoon shift. Amazing place for the money charged. Great peaceful location. One of the largest sized apartment you could find in this area. I stayed at this hotel 5 nights, and i liked the hotel. The rooms are spacious, it's literally, very quiet and peaceful at night. The lady at the reception was kind enough, to give me a late-check out. which was nice. There is a mini grocery store, and hair salons near by. I liked the spacious room the most. Would stay here again. I stayed at this hotel for 5 days and I have no major complains, the rooms are spacious, It's very quiet and peaceful at night, the location is good there is a grocery store near by. Also restaurants and hair salons. The staff was kind to give me a late check out. It's also close to the mall. Mainly I liked the room a lot. Will stay again. The check in staff was very helpful. We had a booking for two single bed room apartments but she agreed to give us a two bed room apartment . It saved us from the hassle of one family living at two different levels. 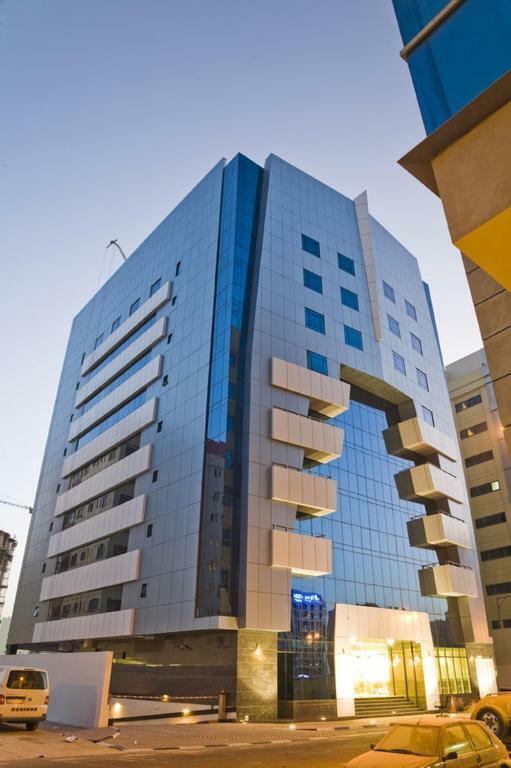 Al Barsha offers stylish apartments in one of Dubai's fastest growing commercial districts. It features a fully-equipped gym along with a rooftop pool. Free Wi-Fi is available in public areas. All apartments are filled with natural light and air-conditioned. Each has a cable TV and DVD player. Kitchen facilities include a microwave, fridge and tea/coffee-making facilities. For relaxation, the Avari Hotel Apartments-Al Barsha offers a sauna and a hot tub. The staff at the tour desk can provide information about the hotel’s car rental service and help organize local sightseeing trips. The Knowledge Village and Media City are a 5-minute drive away. 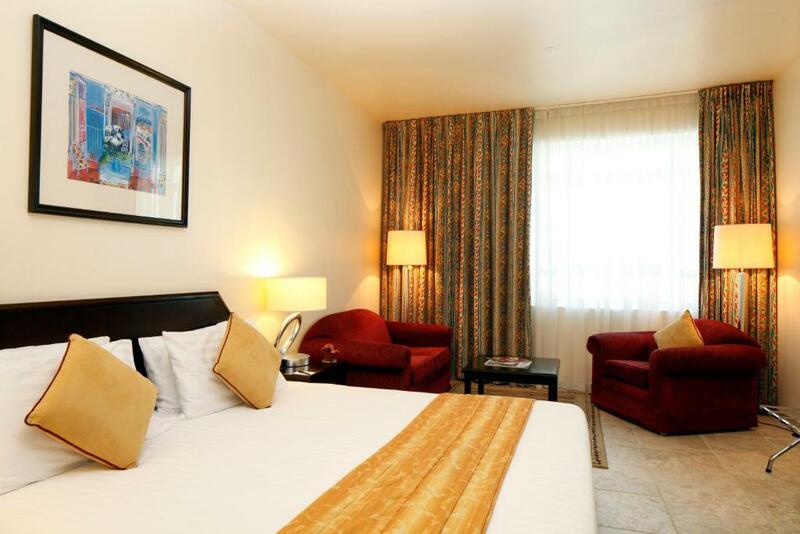 When would you like to stay at Avari Hotel Apartments - Al Barsha? Modern and stylish suites with a separate elegantly furnished sitting and dining area. They feature a kitchenette with microwave and fridge. 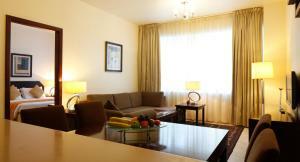 The suites have Wi-Fi access and there are tea and coffee-making facilities. This room accommodates 2 adults and 2 children below 12. It has a king bed and an extra roll-away bed. There are no extra beds available for this room type. 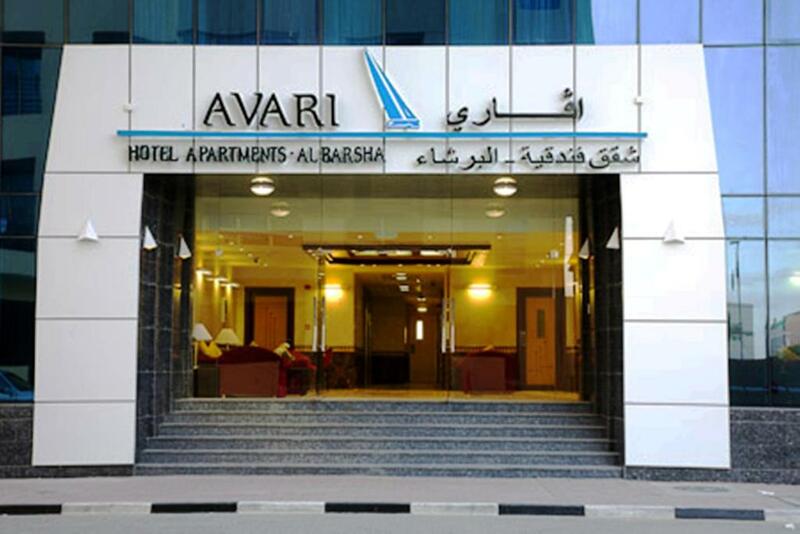 Dear Guests Avari Hotel Apartments, Al Barsha proves to be a unique and prestigious destination which has been newly built and offers fully serviced apartments to cater for every possible need a business or leisure traveler may have. Positioned just 5 minutes walk behind Mall of the Emirates and Dubai Metro, The Avari is close to major business, leisure and academic centers. 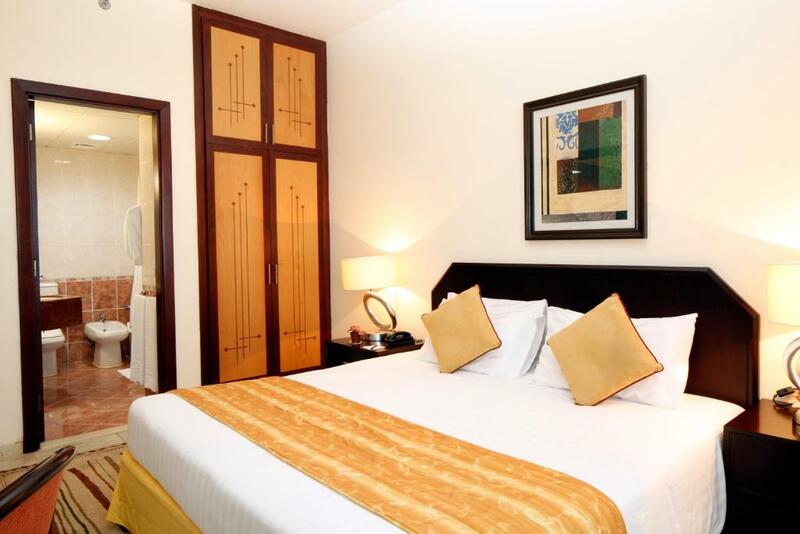 Apartments at Avari offer all the trimmings of a hotel and comforts of a home. Truly a home away from home. 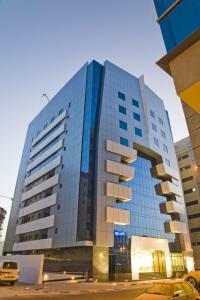 House Rules Avari Hotel Apartments - Al Barsha takes special requests – add in the next step! 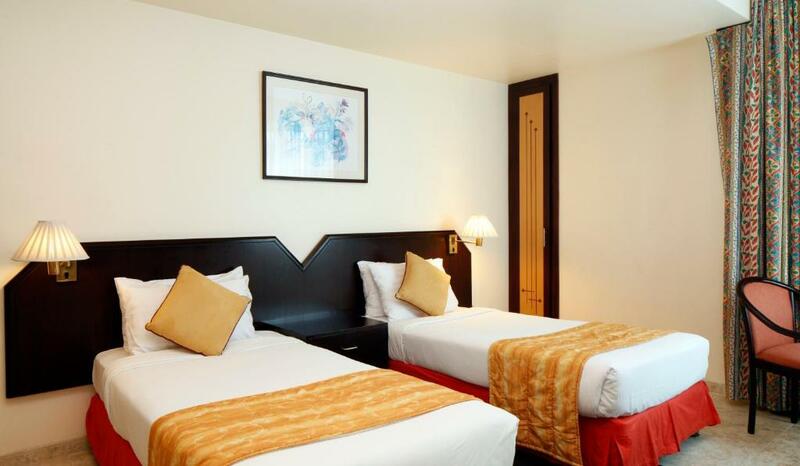 One older child or adult is charged AED 150 per person per night in an extra bed. 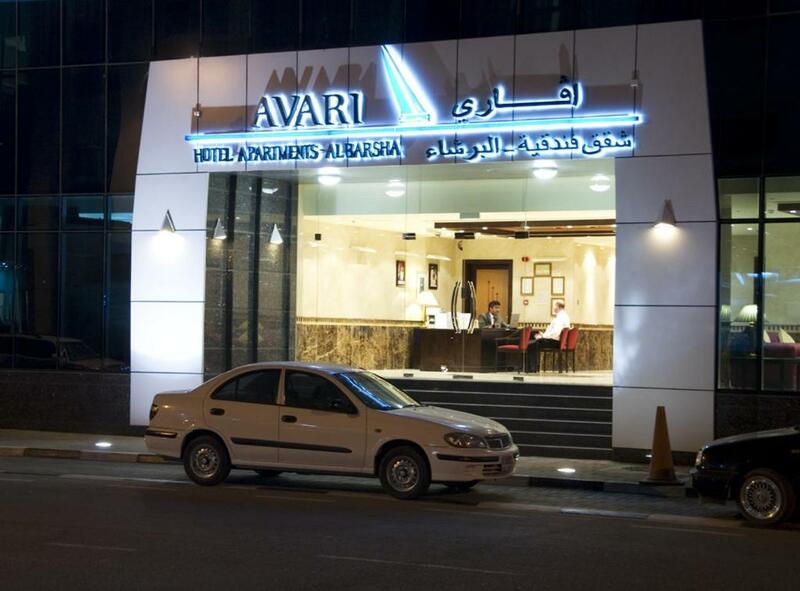 Avari Hotel Apartments - Al Barsha accepts these cards and reserves the right to temporarily hold an amount prior to arrival. Transfers to and from Dubai International Airport Terminal 1, 2 & 3 are available on a request basis from the hotel for a fee. Please contact the hotel once a reservation is in place for further information on this service. In case the card holder is not personally staying at the hotel, the guest upon check-in is required to present the credit card used for making the booking to validate the payment. In absence of the original credit card used for making the booking, the guest will have to personally pay for his entire stay charges in advance. Please note that an additional deposit of AED 500 per room per night will be required upon arrival for incidental charges. This deposit is fully refundable upon check-out and subject to a damage inspection of the accommodations. Please note that guests must be over 21 years old in order to check-in. A damage deposit of AED 300 is required upon arrival – that's about 81.67USD. This deposit is fully refundable at check-out as long as there's been no damage to the property. Spacious rooms and great location. The bed wasn't really good. My first booking got cancelled with misunderstanding, and re-booking cost me more. Internet login is not very convenient. Not even a complimentary water was there nor coffee while we were informed that it should be there. When we called again we were given the information that everything was chargeable 🙁..they don’t even have the take away box to give us for the left over food that I didn’t want to waste. I just hope that they would return the money they got from my account (pre authorization payment ) after SEVEN DAYS. I still feel it wasn’t worth it. There was a specific smell in the corridor I wasn sure what that was.. also no breakfast .. you should do offer. I like the location and the room size. No bell boy to take luggage, and baggage at the time of check-in. Gym is average but can be improved. no taxi person willing to go to mall of emirates. as its near by.